With a Lightweight Formula, it Moisturizes while Firming, healing & soothing the skin! • Softens the look of scars, Old and New! 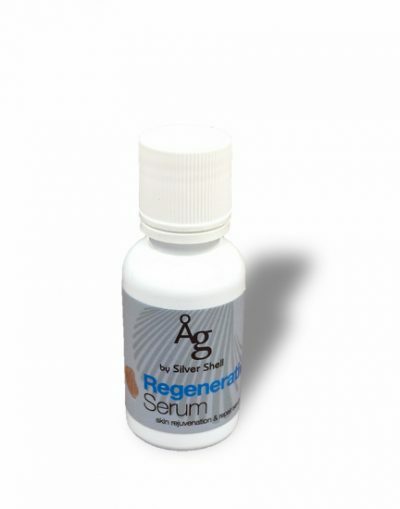 Our Patented Silver Chitosan Complex, Chitosan (Poly-D-Glucosamine) assists in returning the skin to its vibrant, younger state. Water (Aqua), Glycerin, Cyclopentasiloxane, Caprylic/Capric Triglyceride, Dimethicone, Glyceryl Stearate, PEG-100 Stearate, Cetearly Alcohol, Ceteareth-20, Silver/Chitosan complex (Poly-D-Glucosamine, silver, lactic acid) Less than 1%Triethanolomine, Phenoxyethanol, Butyrospermum Parkii (Shea) Butter, Ethyltheylglycerin, Allantoin, Citrus Aurantium Bergamia (bergamot) Fruit Oil, Citrus Grandis (Grapefruit) Peel Oil, Citrus Aurantium Dulcis (Orange) Peel Oil, Citrus (Tangerina) Peel Oil.